LSY series screw conveyor is special equipment that uses rotating spiral blades to propel materials continuously in a closed shell with circular section. 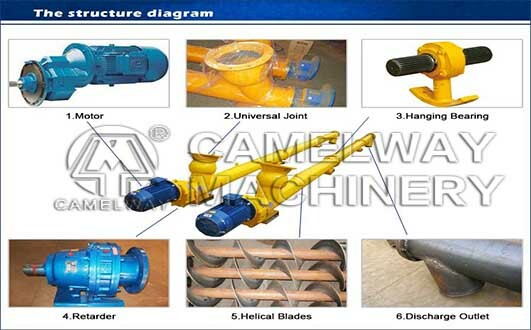 The main parts are imported from Italy Sicoma company, such as gear box, blades, universal joint, etc. It is widely used to transport various powdery, granular, small block bulk materials, such as cement, fly ash, clay powder, etc. not suitable for the materials with big viscosity, easy to clump or degrade. compact structure, small cross sectional area, light weight, good sealing, high transportation efficiency, flexible process layout, convenient to assemble, disassemble and move, safe to operate.